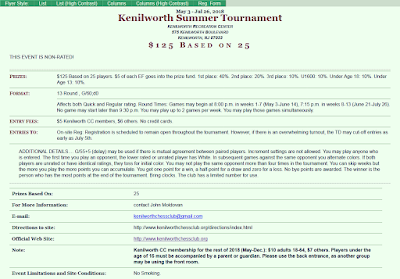 Kenilworth Chess Club: Summer Tournament Starts Tonight! 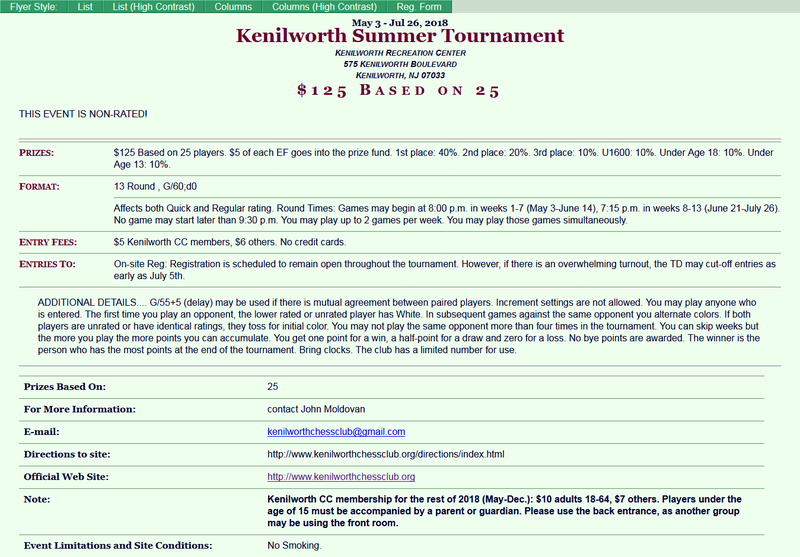 The Kenilworth Summer Tournament starts tonight! Updated 12.19.2018 @ 11:19 a.m.